Sweeping changes in the U.S. healthcare industry geared at increasing access to healthcare to more than 50 million underinsured and uninsured individuals will challenge a system already burdened by the number of seniors needing long-term care. In other areas across the country, more than 66 million Americans have limited access to primary care. Lawmakers’ response to the health care crisis requires the preparation and introduction of more advanced practice registered nurses (APRNs) who will care for patients in homes, nurse-managed clinics, schools, community health centers, and other facilities. 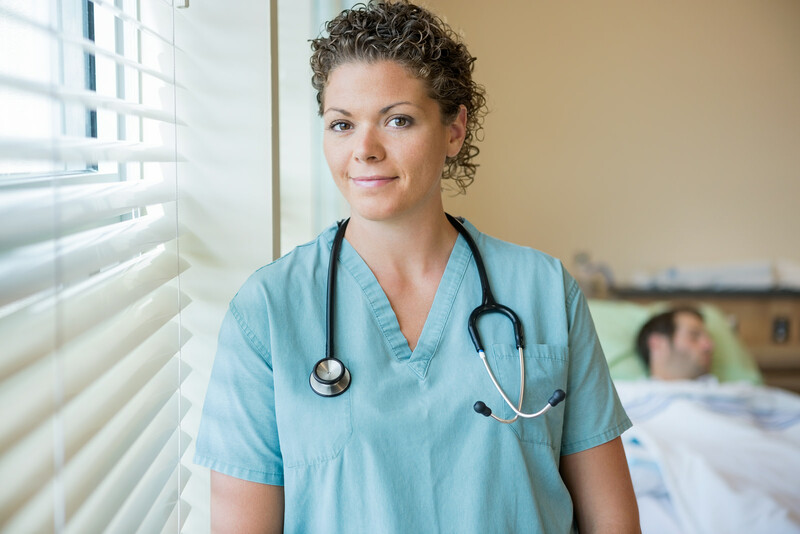 Advanced practice registered nurses are RNs who complete the advanced educational and clinical practice requirements to become certified nurse-midwives, certified registered nurse anesthetists, clinical nurse specialists, and nurse practitioners. In Nevada, an APRN must complete formal education in nursing, at least to a master’s degree, in one of four core advanced practice roles. The shortage of primary care physicians and rising health care costs will increase consumer demand for APRNs. Since advanced practice nurses deliver care that is as safe and effective as primary care physicians, it is expected that they will be the solution for the current shortage of primary care providers. Nurses with a master’s degree have the education and training that opens doors and new opportunities for practice. They can provide direct patient care at an advanced level (with state certification), educate other nurses, conduct research, manage health systems, implement evidenced-based solutions, and impact public policy. With the ongoing healthcare crisis brought about by a shortage of primary care providers, APRNs are in high demand to fill established and emerging roles in adult and family health, pediatrics, informatics, geriatrics, and public health. The master’s degree in nursing equips registered nurse students with the essential knowledge and skills to practice in advanced roles in teaching, research, informatics, administration, and direct patient care. Graduates go on to become health policy consultants, clinical nurse leaders, nurse managers, clinical educators, and public health nurses. The curriculum focuses heavily on advanced clinical knowledge and skills to prepare graduates to provide expert care in specialty areas. An accredited program will contain those components for developing clinical competencies and the fundamental practices the APRN need. Like the RN and BSN programs, students will need to develop advanced critical thinking, problem-solving, inductive reasoning, and sound communication skills. Before enrolling in a program, you should have your goals mapped out. In your planning, identify an area of concentration, which will help in your selection of an accredited program. Some specialty areas are family practice nursing, nursing administration, clinical nurse specialist, certified nurse midwives, mental health nursing, certified registered nurse anesthetists, forensic nursing, and an expanding list of other options. Hours of practice in a clinical setting aids the development of new skills and the application of theoretical concepts in a real-world setting. As a student, you’ll shadow industry experts and have numerous opportunities to use your clinical judgment and critical thinking skills in a wide range of scenarios. At the conclusion of the program, you’ll have the technical skills and theoretical principles needed for your role as an advanced practice nurse. MSN programs are available in on-campus, hybrid, and online formats. Although part-time options are available, they can be just as intense as full-time programs, especially if you work full-time. RN to MSN: This program is designed for nurses who hold an associate degree who will complete the requirements in 2 to 3 years based on a full-time schedule. Students will complete the baccalaureate-level courses at the front-end of the program before enrolling in graduate-level courses. The sharp increase in RN to MSN programs across the country is a good indication that nurses are pursuing advanced education to enhance their careers. Direct Entry MSN: The path is the most prevalent and is offered for those seeking graduate preparation. The program builds on the foundation provided by the undergraduate BSN and gives students room to concentrate on the focus area. Full-time students can complete the degree requirements in 18 to 24 months. Nevada’s nursing schools offer the MSN. However, if you’re considering online options, you might find the Master of Nursing (MN) or the MS. All three nursing degrees are comparable and prepare students for advanced practice. Check with the Nevada Board of Nursing to determine the education requirements for certification as an APRN. Post-Master’s Certificate: This option is ideal for nurses who already have a master’s degree but want to sharpen their clinical skills and knowledge in a focus area. Applicants must have a master’s of science in nursing and an active APRN license. The admissions department will consider your academic preparation and credentials to determine your eligibility. The competitive enrollment, due to a shortage of accredited programs in Nevada, will require that you meet and exceed the educational requirements and demonstrate your commitment to patient care in the capacity of an advanced practice nurse. Online programs provide an alternative pathway if you encounter problems enrolling in the state’s competitive programs. Following is a list of general requirements for admissions into a standard MSN program. A BSN degree with a 3.0 cumulative GPA for your last two years of undergraduate work. Prerequisite (undergraduate) courses in physical assessment, introductory statistics, and research. Graduate level statistics with a grade B or above. Official transcripts of all previous college coursework. An essay detailing professional goals indicating how graduate education fits the goal. A current Nevada RN license. Other requirements will be determined by the school’s requirements and your area of concentration. Your application to the main college, for graduate study, must precede your application to the nursing department. Whatever the cost, your graduate study will be an investment in your career. Apart from tuition, you’ll have to budget funds for textbooks, uniform, transport, insurance, equipment, and clinical supplies. Although finding sources of aid for your graduate study might be compared to finding a needle in a haystack, you may have luck finding state-funded incentives geared towards increasing the number of advanced practice registered nurses in the healthcare system. Scholarships and grants are abundant for nurses, especially for nurses pursuing graduate study. But there may be stipulations for the area of concentration, experience, etc. Check the American Association of Colleges of Nursing for a growing list of resources and scholarship opportunities based on academic performance and merit. Employer incentives, such as paid tuition or tuition reimbursement could be a viable source of funding your education. Loans remain the go-to option for more than 90 percent of college students. Apply for a low-interest loan to cover your costs after applying funds gained from grants, scholarships, and employer incentives. The average tuition for completing an MSN degree in Nevada is $28,700 for students entering with a BSN degree. Students entering through the RN to MSN pathway will pay more. Before applying for certification as an advanced practice nurse, you must possess an active Nevada registered nurse license. The Board will issue a license only after you meet all the requirements for licensure. Submit a completed and signed application for Advanced Practice Registered Nurse to the Board of Nursing. Submit the application fee of $200, payable to NSBN using a personal check. Debit card, credit card, money order, or cashier’s check. Submit completed fingerprint cards – forms and instructions for fingerprinting are available on the Board’s website. The Board will not issue a permanent license before receiving the fingerprint report. Submit an official transcript sent directly from the nursing education program. The program must be at least one year and include didactic instruction and clinical experience with a licensed physician. The transcript should indicate completion of key components: clinical preceptorship, advanced role preparation, advanced health assessment, advanced pathophysiology, advanced pharmacotherapeutics, and concentration of courses in a specific role. Include evidence of your nursing school’s accreditation/approval by the Accreditation Commission for Education in Nursing, Commission on Collegiate Nursing Education or other national accrediting body. Submit evidence of licensure by the Nevada State Board of Pharmacy is applying for prescribing privileges. If you meet all the criteria and request a temporary permit, the Board will review the request and issue the permit. The expiry date for the temporary APRN permit will be available online. The permit does not authorize prescribing privileges. The application will remain open for one year from the date received by the Board. After submitting the required documents and the fingerprint cards, the Board will review the application and issue the license if you’re eligible. You must maintain documentation indicating competence in your area of practice. As an APRN, you cannot practice beyond the scope of practice (as established nationally) for your focus area. After obtaining licensure, you must maintain a professional portfolio to maintain licensure. If your address changes, you must notify the Board with 30 days of making the change. For name changes, you must submit a letter of explanation and legal documentation of the name change. The NSBN will mail renewal postcards with PIN numbers for your RN license and APN certificate renewal, to your last known address, two months before the expiration date. Keep a current address on record to obtain vital updates from the Board. The PIN numbers will allow you to renew online. However, you can print the PDF renewal application found online and mail the completed and signed form with the application fee to the Board of Nursing’s address provided below. You can also request a copy of the application over the phone by calling 1-888-590- 6726. To renew your license, you must complete 45 hours of nursing-related continuing education during the 24-month cycle. You must also practice a minimum 800 hours as an APN during the previous five years. Submit documentation of your active collaborative agreement or a new collaborative agreement if you changed physicians. Complete the child support section and answer the five eligibility questions. The renewal fee for APN certification is $200. The RN license costs $100 to renew. The Board will apply a late fee of $100 for all late renewals.